In its 40th year of operation, Inkaterra is Peru’s leading luxury eco-tourism group and sponsor of the non-profit Inkaterra Foundation. 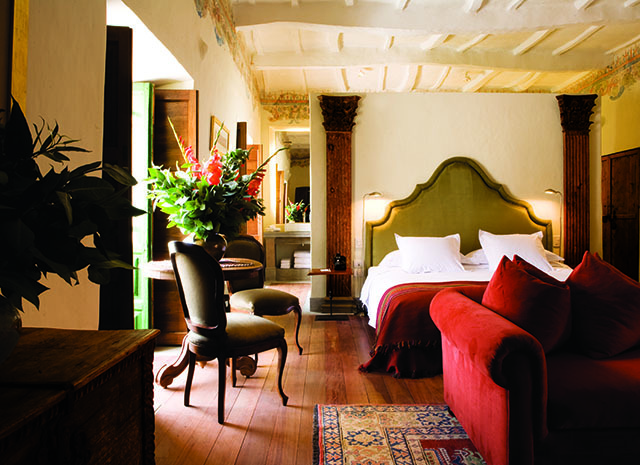 Inkaterra owns and operates the 12-acre Inkaterra Machu Picchu Pueblo Hotel in the Andes and the Inkaterra La Casona boutique hotel in Cusco (member of Relais and Châteaux). The group’s newest property is the elegant Inkaterra Hacienda Urubamba in the Sacred Valley. Additional properties include Inkaterra Hacienda Concepción and Inkaterra Reserva Amazonica, on the shores of the Madre de Dios River, with its unique Canopy Tree House and Canopy Walk in the Amazon rain forest. Additionally, El Mapi, by Inkaterra at Machu Picchu Pueblo, offers Inkaterra specialness at value prices. Inkaterra’s inspiration provides travelers with eco-responsible hospitality and luxury with a view to ensuring guests an authentic Inka experience. At the forefront of sustainable development, Inkaterra’s current partnership with National Geographic’s Unique Lodges of the World includes unique cultural and nature experiences at Inkaterra Machu Picchu Pueblo Hotel, Inkaterra Hacienda Urubamba, Inkaterra La Casona, and Inkaterra Hacienda Concepcion.